ResellerClub and all other LogicBoxes Registrars provides with every domain, hosting package and other ancillary services a free and powerful DNS and Domain forwarding service. Your customers can manage this service through their proprietary OrderBox Customer/Reseller Control Panel. 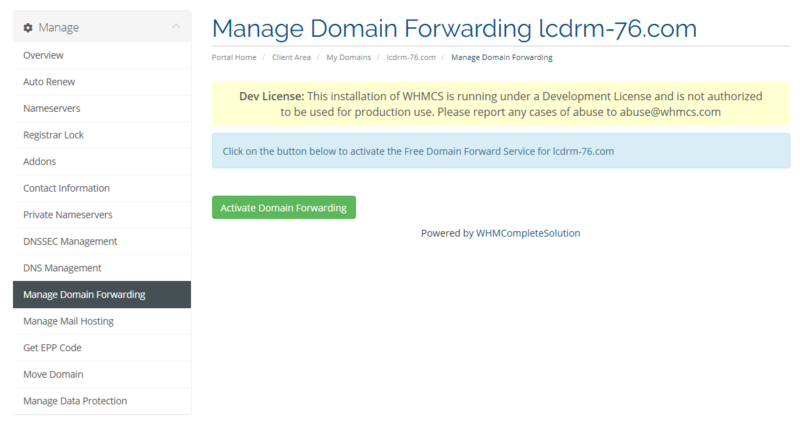 Unfortunately the orderbox dns and domain forwarding interface cannot be implemented into your whmcs system to fit your corporate website design and you need to provide to your customers an external login link to the dns and domain forwarding management interface, outside your WHMCS control panel. 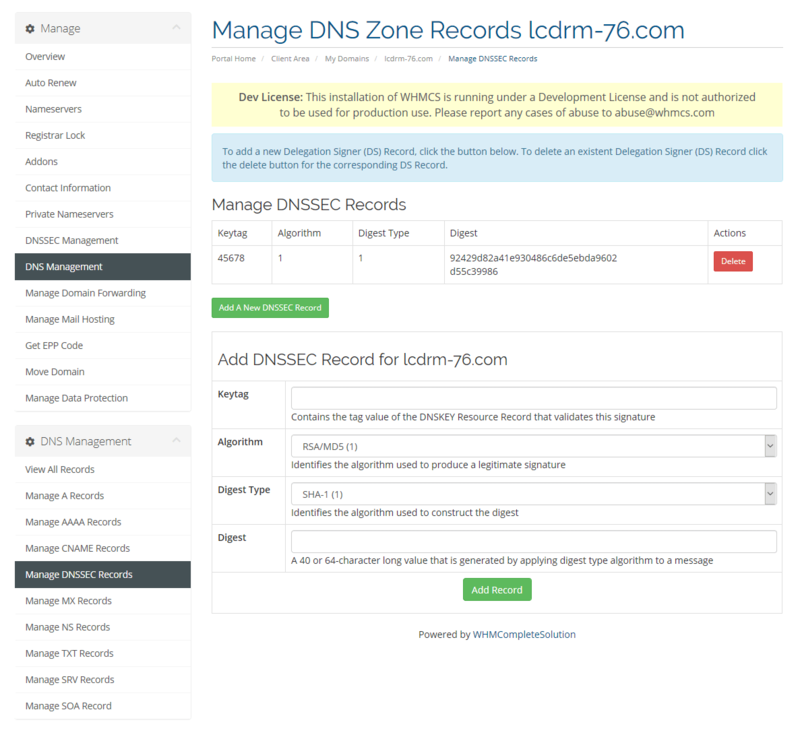 The WHMCS control panel only offers a standard DNS management interface which allows only basic DNS record management with a build-in domain forwarding option. 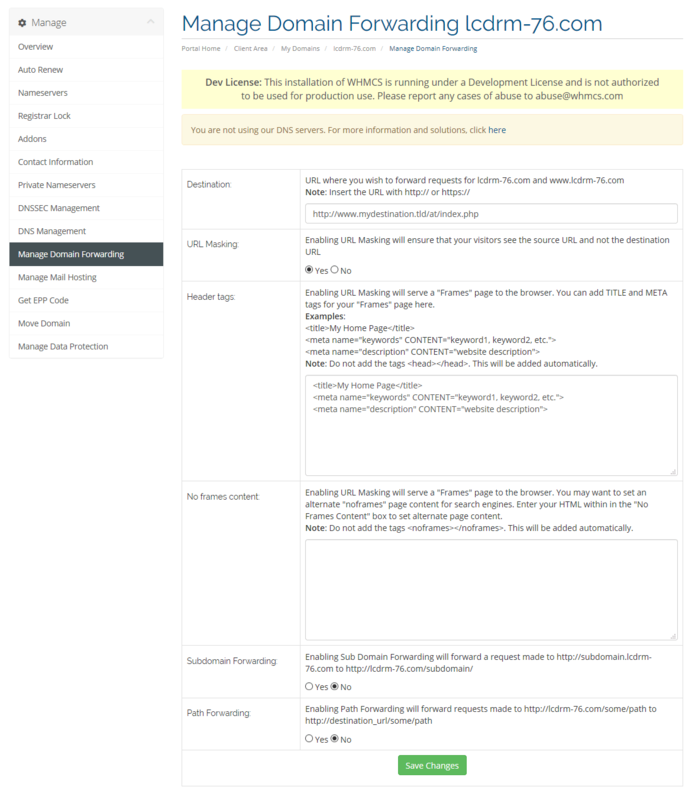 We provide the solution for those resellers who are selling domains and/or webservice packages through ResellerClub & LogicBoxes with WHMCS Control Panel. 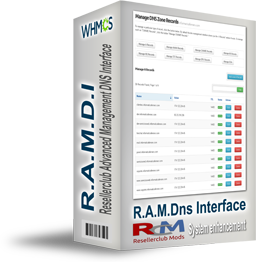 Our Resellerclub Advanced Management DNS Interface for WHMCS takes 100% care about all the features available for dns and domain forwarding service and with a clean integration within your WHMCS system, based on the well known smarty template engine used by WHMCS. 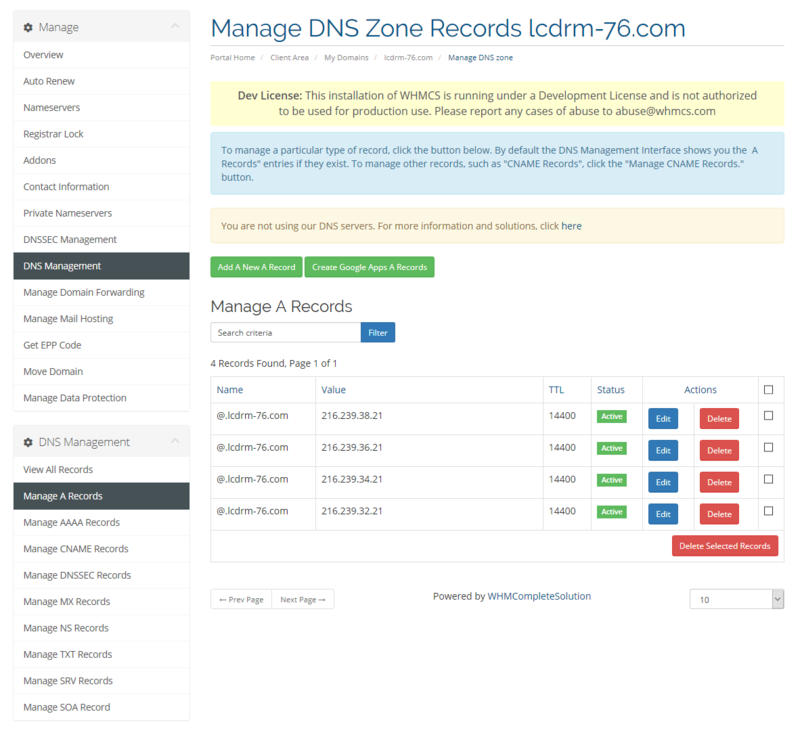 Look for yourself, how you can gain and present your customers with a more professional and fully featured looking DNS and Domain Forwarding Management Interface. One-click button "Overview all Records"